Saved data from Marin's website. Sometimes this stuff disappears from manufacturers' sites. 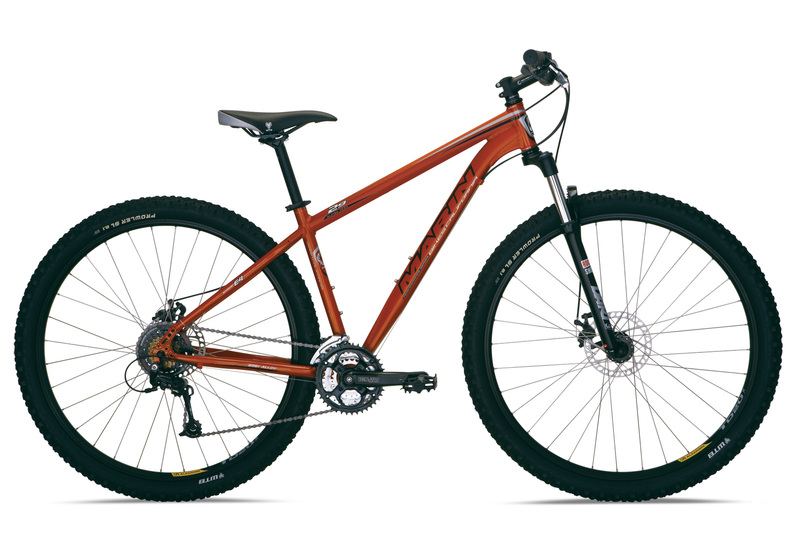 With its upright position, stable handling and big wheels, Marin's Alpine Trail 29er is a great way to get on the fast-rolling 29er train. Take the 29-inch Alex rims and combine that with the 100mm-travel RockShox fork and grippy WTB tires, and you'll have such an advantage that your riding buddies will accuse you of cheating and doing secret training sessions in the dark. You also get fine components, including a reliable TruVativ crankset, quick-shifting Shimano derailleurs and powerful Hayes disc brakes. Plus, the comfy WTB seat and lightweight handlebars and stem are ready for mega miles.